HE BECAME an international movie star thanks to the Harry Potter films, but Tom Felton doesn't look like Draco Malfoy anymore. The 31-year-old appeared on UK show Good Morning Britain looking worlds away from his child star past. Wearing his darker hair in a man bun and sporting glasses, Felton admitted the "Harry Potter flame is not going anywhere anytime soon". "Obviously, yeah, it has changed my life beyond recognition," he said. "But at the same time, I don't really see myself as a Harry Potter star. I only feel like that when I sit here and get questions (about) that." 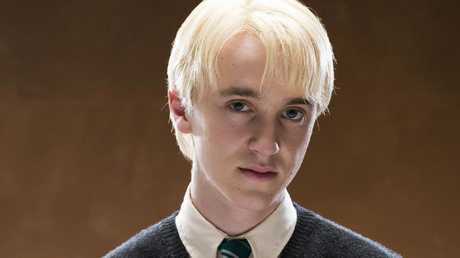 Felton landed his role as Draco Malfoy when he was just 14, playing the Harry Potter villain until he was 23. 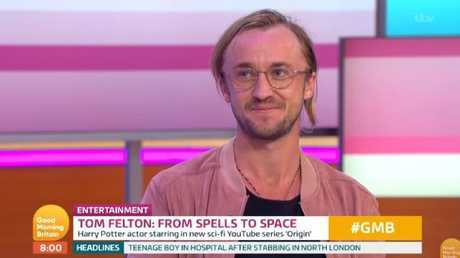 Unlike his co-stars, Felton has admitted to having mixed feelings about the role as the fame and money hadn't made up for the fact he had been "missing out on my childhood". 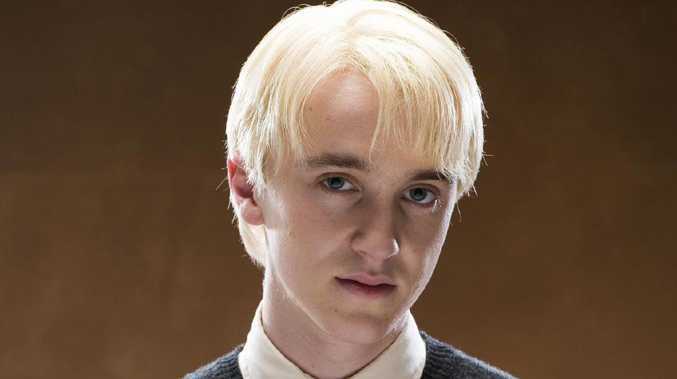 Actor Tom Felton in character as Draco Malfoy from the Harry Potter films, set to appear at Supanova this weekend. "For the past decade we haven't had much freedom to do other projects," he told the Daily Mail in 2010. 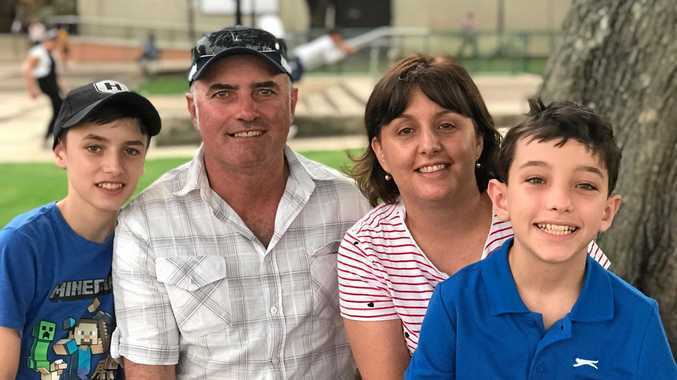 "I ­certainly haven't had much freedom to keep my own hair colour, or lay in the sun, or do anything remotely dangerous like skiing." Since then Felton has acted steadily, appearing in Rise of the Planet of the Apes and TV show The Flash.